Finally, some songbirds! I’ve spent a lot of time in Green-Wood this winter and it has been barren of some of the usual winter bird suspects. 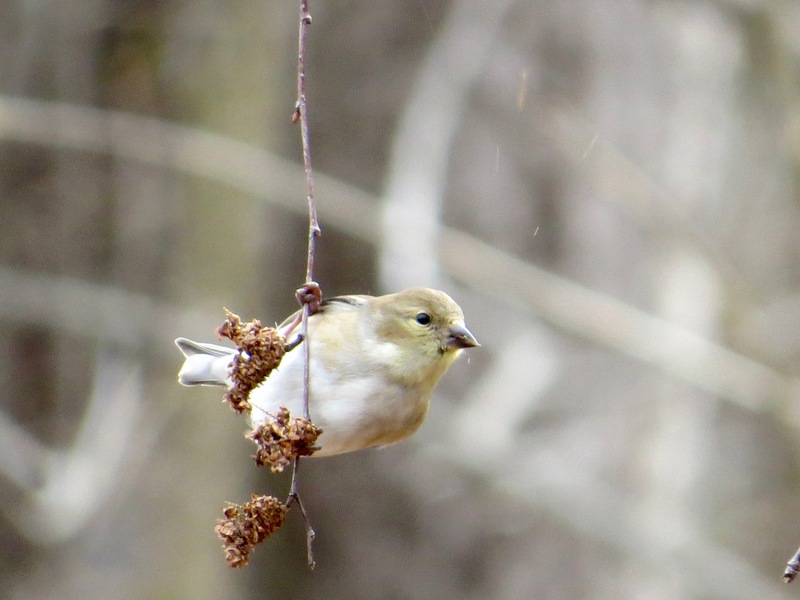 So it was good to run into Tufted Titmouse, White-breasted Nuthatch, Golden-crowned Kinglet (rather unexpectedly) and a small flock of American Goldfinch (Spinus tristis) all hanging close together on Hunter’s Island recently. 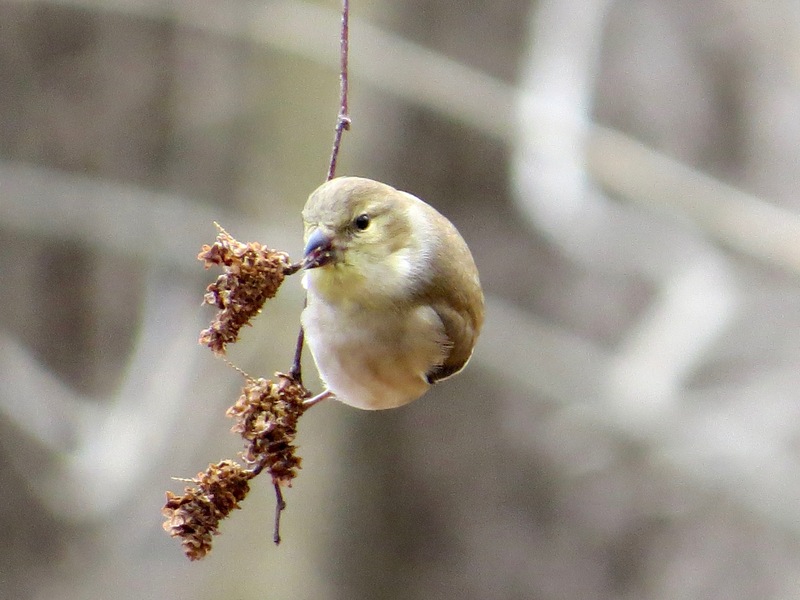 The Goldfinches were ravaging these catkins. The nuthatch was nattering (nuttering?) and the single Tufted Titmouse was finding something pretty darn exciting to eat on the paved path. Are other birdwatchers noticing fewer birds? Really depends on location, I think. But it would be interesting to compare this winter with previous. I’ve noticed a lack of chickadees, titmice, and nuthatches in Upper Manhattan. I saw a comment on the Birds & Blooms site from a woman in upstate NY who said that, though she’d had plenty of the other “usual suspects” at her feeders, she had only seen two chickadees this winter, and that her neighbors with feeders had said the same.